Regain your health, vitality, and independence through this age-old approach to fitness! 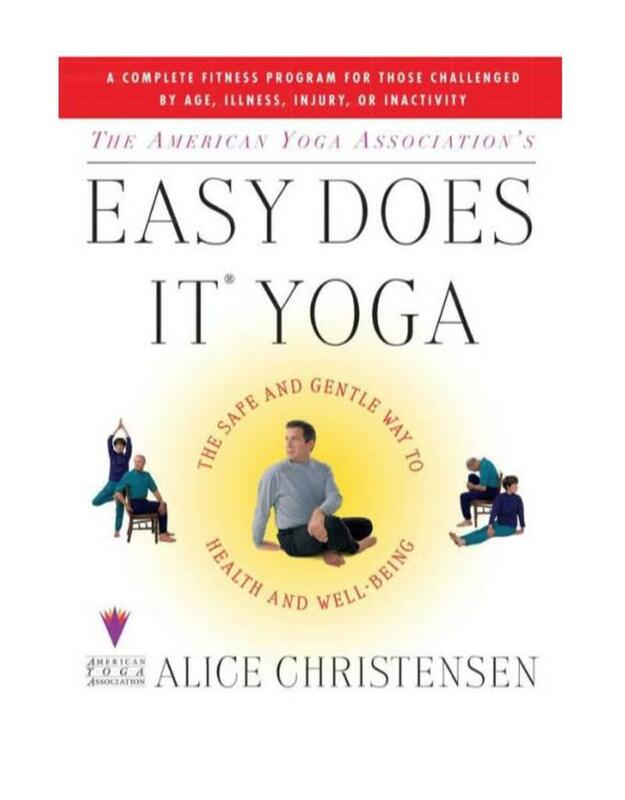 Whether you're an older adult just beginning to exercise, you’re physically weak due to an illness or injury, or you haven’t worked out in a while, The American Yoga Association's Easy Does It® Yoga is a safe, easy-to-use guide to renewed physical and emotional wellness. For thousands of years people have turned to yoga to enhance their quality of life. Yoga gradually builds physical flexibility and strength, improves concentration, relieves stress, increases energy, and develops the ability to relax at will. 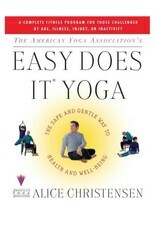 Easy Does It® Yoga, a nationally recognized fitness program, adapts traditional yoga techniques to make them safe and easy for people who may face physical limitations. But, although it is a gentler form of yoga, it is just as effective as more strenuous fitness programs for getting and staying in shape. Regardless of your age or physical condition, The American Yoga Association's Easy Does It® Yoga will inspire you to awaken your body and mind and experience the well-being and fulfillment that yoga brings.